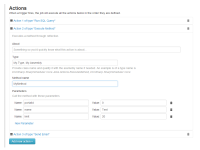 Sharp Sheduler is a time-based and application events-based task scheduler module for DNN. It allows in an easy way to manage, schedule and execute actions such as: run SQL Queries, DNN jobs, executables, PowerShell scripts, Post Data, send emails and execute methods automatically and periodically at specific times/intervals (time triggers, interval triggers, cron triggers) or when an event occurs (on application start/end, at the beginning/end of every request). Once you choose a Sharp Scheduler license, you have as many DNN installations as you want, at no additional cost. 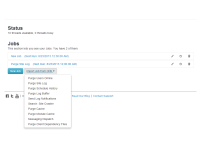 You can extend Sharp Scheduler with new functionality and customize it to your own needs by adding new types of triggers, actions and services (that run triggers). If you have specific tasks added to the DNN schedule, don’t worry, with Sharp Scheduler you’ll be able to migrate them. The minimum requirements have been increased to DNN 8.0.4 and Evoq 8.5.0. The .NET version has also been increased to 4.5.2 for all our products. 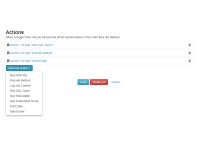 When data is inserted, updated into a database table or deleted this class of triggers can be configured to fire. 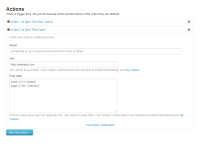 These triggers use advanced Cron Expression syntax to specify firing-schedules. 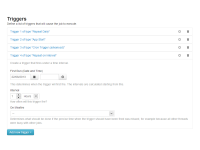 This trigger fires performing the advanced tasks you've configured when a new user is created. These triggers fire once at specified date and time. You can import DNN jobs with Sharp Scheduler. 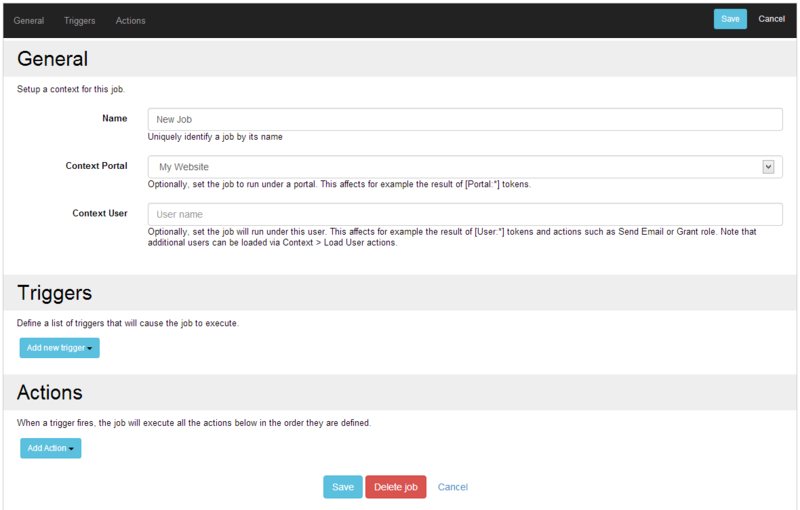 Multiple DNN Jobs can be executed at once. Sharp Scheduler can be configured to run an executable on the server. This action will send an email to a list of recipients. Optionally attach a list of files. When a trigger fires, it executes the specified SQL query, optionally storing the output for use in other actions. Sharp Scheduler integrates with other servers, posting data to given URL. With this option the schedule is saved in database, so it's persistent on application restart. 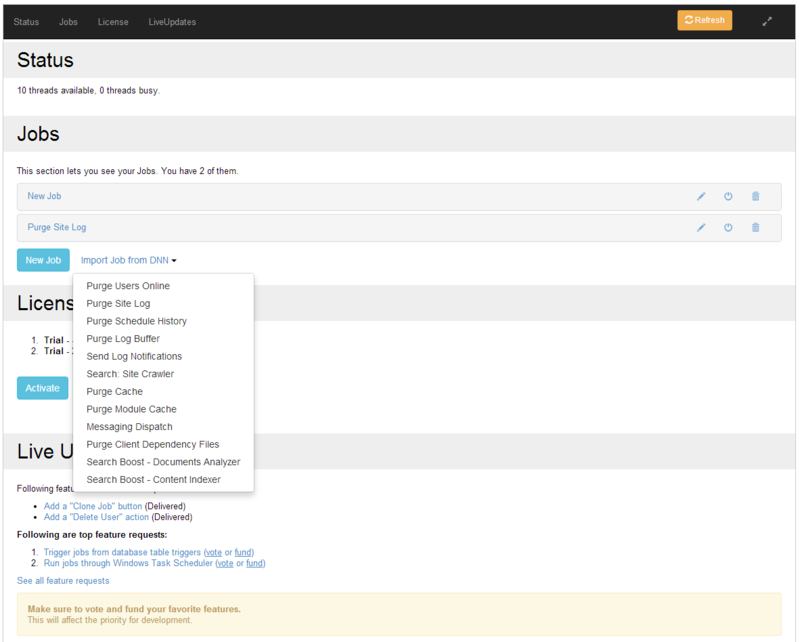 This feature allows Search Boost to granular index of rules, documents, folders and pages. If MyTokens is installed, Sharp Scheduler will call it to replace tokens in places such as: SQL Queries, Cron Expression. 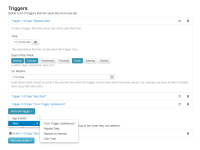 You can easily extend Sharp Scheduler with new types of triggers, actions and services (that run triggers). Sharp Scheduler can invoke a method via reflection with parameters. Sharp Scheduler can help you run a PowerShell script. This option permits the execution of a task manually. 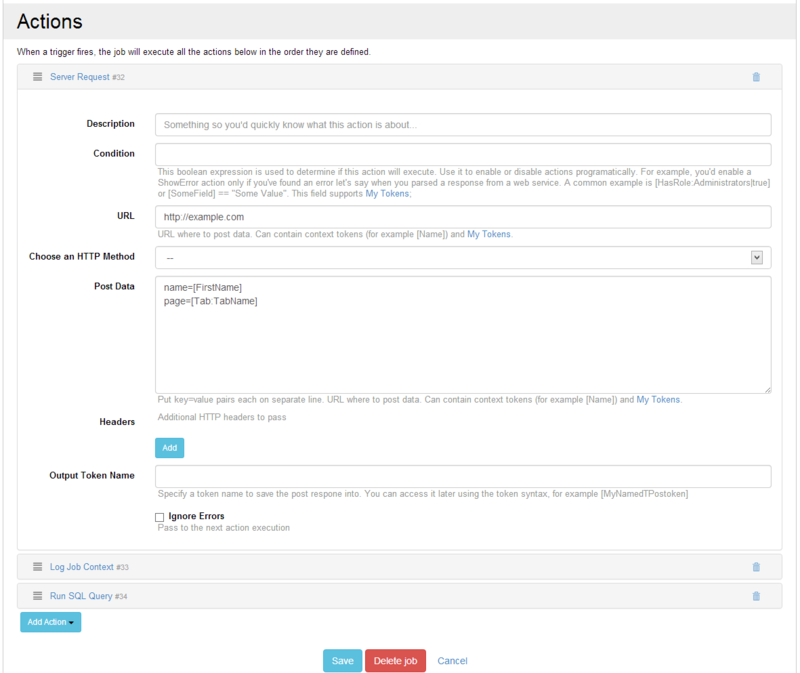 This feature allows you to run a job via Web Service. Once this option in enabled Sharp Scheduler will run a job as you were running it on that portal being logged in with that user. This option determines what should be done if the precise time when the trigger should have been fired was missed. Using this functions makes it fast to create many jobs, actions or triggers that are similar. Want to delete a user, including from the database or not? With this action, it's one click away! 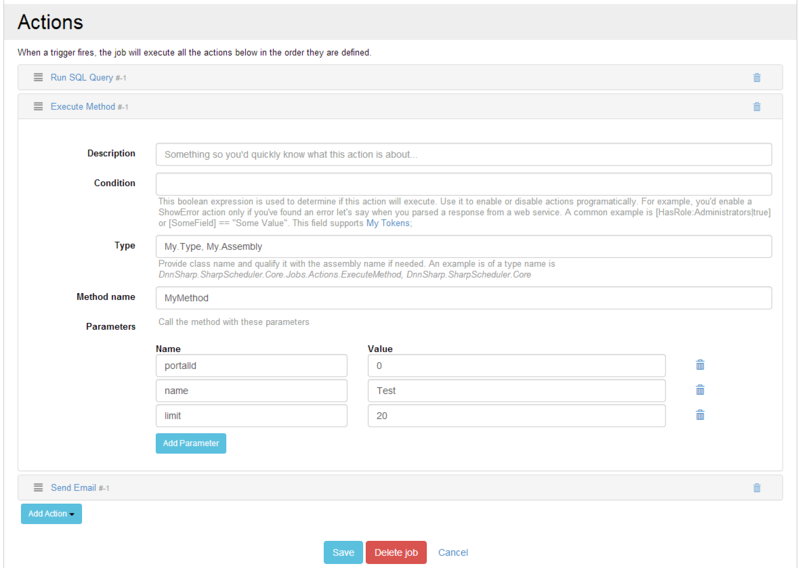 Sharp Scheduler allows you to grant/revoke the specified security role for/from a user. This feature was implemented once with Sharp Scheduler 1.1 and is very useful to process data received from external sources. This actions let you encrypt/decrypt data with AES and RSA according with a selected algorithm. Once with Sharp Scheduler 1.1 this action was extended to allow different HTTP methods and specifying HTTP Headers.